What Is Vehicular Homicide GA? Vehicular homicide (sometimes called motor vehicle homicide) is a traffic-related criminal offense that is charged against the driver of a motor vehicle whose driving actions contributed to or were the cause of the death of another person. Georgia vehicular homicide cases can be prosecuted and sentenced as a felony or misdemeanor, which makes a huge difference in potential punishment of the accused citizen, for a vehicular homicide sentence Georgia. Georgia vehicular homicide penalties can be a virtual life sentence, when felony homicide by vehicle sentences are sentenced to be served consecutively. This article discusses how a criminal defense lawyer can have a favorable impact by having an early involvement in some serious cases. Depending on the jurisdiction and facts, criminal lawyers near me may be able to convince a prosecutor to accuse the case as a misdemeanor vehicle homicide, and not a felony. This step (when made early in the process) is undertaken to try to control the maximum vehicular homicide GA sentence. The effort does not always work, especially where the BAC level of a drunk driver exceeds the legal limit, but has been successful before in some DUI-drugs cases, and low-alcohol BAC level cases. The most successful cases are those where action can be taken in the first week or two following a death by motor vehicle, for which our client has been arrested for some other traffic violation. Under Georgia’s motor vehicle laws, which are sometimes called “rules of the road,” homicide by vehicle, (or “vehicular homicide” or “vehicle homicide”) is the unintentional killing of another person while operating a car, truck, motorcycle, SUV, or other motorized vehicle while committing SOME type of moving violation. Georgia homicide by vehicle laws (under OCGA 40-6-393), delineate between minor traffic offenses (misdemeanor homicide) and the five (5) statutorily-identified serious traffic offenses (first degree vehicular homicide by vehicle) by making the latter offenses felonies, and the former misdemeanors. In addition, under O.C.G.A. 40-6-391.3, Georgia DUI laws, since any driver of a school bus commits a felony by operating a school bus while driving under the influence, any accident with passenger injuries (even minor ones) would likely be harshly punished, even if limited to second degree vehicular homicide counts (e.g., if the bus driver merely failed to yield the right of way). The maximum jail sentence is 12 months, but this is per death. What Is Vehicular Homicide, and When Is Vehicle Homicide a Felony? The term “first degree vehicular homicide” indicates DUI felony (or another of the 5 serious driving offenses, supporting the felony). All other traffic violation cases resulting in a death caused by another driver should be prosecuted as misdemeanors, which is known as a second-degree vehicular homicide case. The classification of a misdemeanor death by motor vehicle case does NOT mean that resolving these cases is not difficult. Misdemeanor death by vehicle cases are still very difficult to handle, from a criminal defense attorney’s perspective. The same multi-faceted investigation, which often includes use of an accident reconstruction expert and an exhaustive search for eyewitnesses to the collision, takes about as much time as felony vehicular homicide cases. Plus, because most criminal cases for homicide by vehicle in Georgia have a related civil lawsuit by the surviving family of the deceased, these aspects of handling an Atlanta homicide case be very time-consuming. Where the available liability insurance is paltry, and insufficient, our criminal defense attorneys often recommend a motor vehicle accident lawyer who is part of the local plaintiff’s personal injury lawyer’s Bar to intercede on our client’s behalf, in order to do damage control for this part of the motor vehicle death case. Also, both under Georgia law and under similar laws in other states, this category of offenses generally requires that the driving or operating must be causally connected to the crash, impact, or accident by evidence of violation of some “rule of the road” or other faulty driving behavior by the criminally-charged motorist behind the wheel. Georgia has hundreds of misdemeanor traffic offenses, and only a handful of felony traffic offenses, so virtually any traffic violation committed may support either a misdemeanor vehicular homicide charge. The Georgia legislature has limited those traffic violations that can act as the “predicate” offenses for felony, first degree vehicular homicide prosecutions. 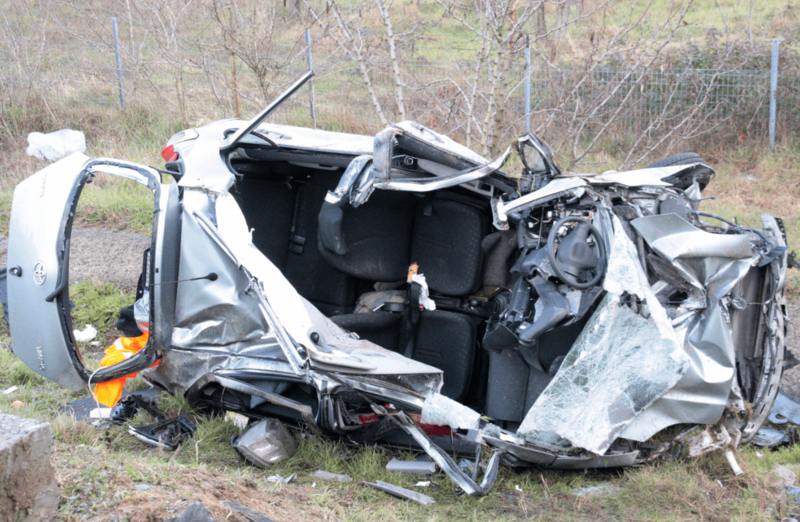 The prosecutor must be able (at trial) to connect the causal element to contributing to the death or another person (e.g., due to impairment by alcohol, or drugs, or reckless driving). The General Legislature has identified 5 serious driving offenses that pose a higher likelihood of catastrophic consequences in motor vehicle accident cases in Georgia and are thus harshly punished as felonies. These five motor vehicle crimes, which are all classified as serious misdemeanors, are the “first degree vehicular homicide predicate offenses” under Georgia vehicle homicide law. Overtaking or passing a school bus with stop arm deployed, discharging passengers. OCGA 40-6-163. 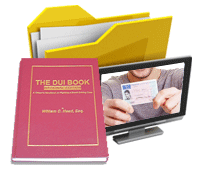 DUI – driving under the influence of any type, such as first offense DUI alcohol less safe or per se DUI for being over the legal alcohol limit in GA. OCGA 40-6-391. Fleeing or attempting to elude an officer. OCGA 40-6-395. Hit and Run (leaving the scene of an accident) OGCA 40-6-270. 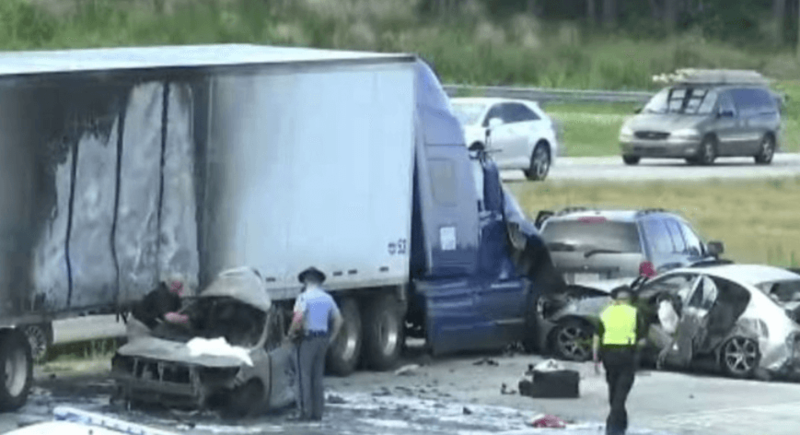 Other than these five (5) serious “predicate” driving offenses, all other simple misdemeanor traffic offenses in Georgia do not cause a fatality from a motor vehicle accident to have the underlying traffic ticket increased to a felony Georgia vehicular homicide case. If the case in Georgia is NOT a felony, then the vehicular homicide sentence cannot carry more than 12 months in county jail, for a second-degree homicide by vehicle in GA.
A conviction for both types of homicide by vehicle, misdemeanor or felony, will cause a driver license suspension in GA. If the homicide by vehicle case is handled as a misdemeanor offense only, without one of the 5 serious misdemeanors named above, then 12 months without a license is the maximum loss of license punishment, versus three (3) years for the felony vehicular homicide GA.
Other than these five exceptions, all other traffic tickets are considered simple misdemeanor “predicate offenses” which only result in potential misdemeanor punishment. 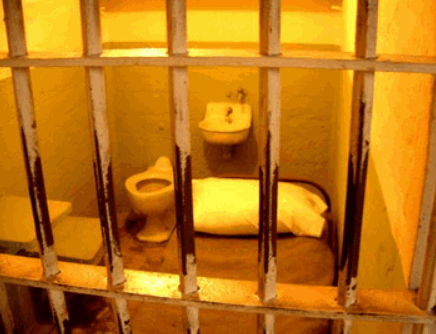 This distinction is particularly important in potential incarceration punishment for the crime. 2nd degree – up to 12 months in the county jail per death where the person is convicted. Note that if multiple people die as a result of the arrested driver’s bad driving, the jail terms and other punishment for a motor vehicle homicide can be stacked in a CONSECUTIVE manner. So, on a DUI first degree vehicular homicide with four deaths, the convicted driver can face 60 years in state prison in Georgia, and an HV driver convicted of 4 counts of felony vehicular homicide would face up to 80 years. Also, if a death occurs by operation of a motor vehicle and any lesser (non-serious) traffic offense was committed that leads to the unintended death of another person (e.g., running a red light, not yielding to a car that had the right of way, stop sign violation), this will typically be charged as a second-degree vehicular homicide, which is a misdemeanor. Per death, a maximum of 12 months in county jail is possible. Any vehicular homicide in the second degree such as texting while driving has a maximum incarceration term of 12 months at a county detention center, which is starkly different from a 1st degree homicide by vehicle, that comes up to 15 years in state prison for each death, which can be sentenced consecutively in Georgia. When a person dies as a result of a vehicle homicide in Georgia, a guilty plea to the criminal charges can create civil liability for the wrongful death, and other related medical bills and funeral charges. In cases like this, your criminal defense attorney should guide you to a skilled personal injury attorney to help you avoid being responsible for a huge restitution bill that could take decades to pay off. Under Georgia law, OCGA 17-14-2 (2) covers the types of civil damages for a tort (civil damages) claim that can be ordered by the sentencing court. However, no such order of restitution can be made if the responsible party had previously settled and obtained a written release or can prove that the pending civil case was dismissed with prejudice after a settlement was paid. Taylor v State, 295 Ga. App. 689 (2009). What Happens When Multiple Deaths Occur in One Accident? Intent to harm, or malice, has never been an “element” of unintentionally causing the death of another person in a motor-related vehicle accident. Both types of vehicular homicide in GA, in the 1st degree or 2nd degree, do not require that the driver MEANT to kill another person. Yet, felony punishment follows any of the 5 proscribed serious driving offenses identified above, that our Legislature has made into felony vehicular homicide crimes. 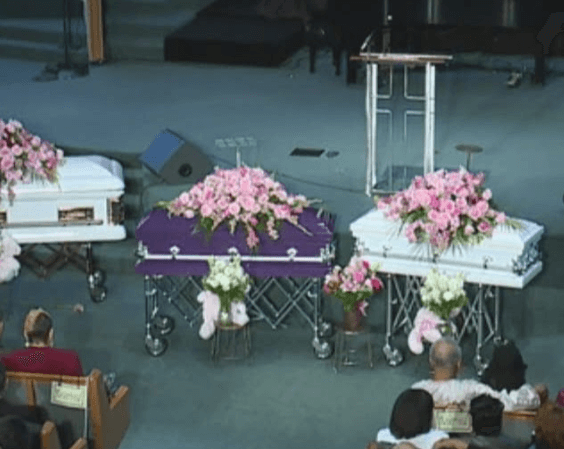 When multiple deaths occur, the State with file separate charges for each death, and the charges do not “merge.” These means that a separate “count” (criminal charge) naming each, separate deceased or seriously injured person will be presented to the jury for adjudication. Sentences can either be concurrent (all served at the same time) or consecutive (stacked, end to end). With four deaths, for felony vehicular homicide Georgia, concurrent sentencing could mean as little as 3 years, but consecutive sentencing for four deaths can mean as much as 60 years in a Georgia state prison. Constitutional challenges have been made to the legal issue of a judge “stacking” the state prison time or county jail sentence of persons causing more than one death, either by a second-degree homicide by vehicle or first-degree homicide by vehicle in Georgia. The argument was basically that only ONE incident (accident) occurred, so stacking sentences was not fair. The case that ruled such sentencing was constitutional in Cox v State, 243 Ga. App. 668 (2000). In the Cox case, three deaths were caused by a DUI driver (Cox) and the judge — on a guilty plea — sentenced the convicted drunk driver to 45 years (15 years consecutive sentences times three fatalities), with the first 36 years in state prison and the balance on probation. The court of appeals of Georgia held that “even though done at the same time with one stroke of the same death-dealing instrument (a motor vehicle), while the stroke was one transaction, the killing of different persons with that stroke constitutes several criminal transactions.” So, when multiple deaths occur, a Georgia vehicular homicide sentence can have consecutive sentencing. First degree vehicular homicide in GA by DUI can be proven either by a DUI per se or DUI less safe. 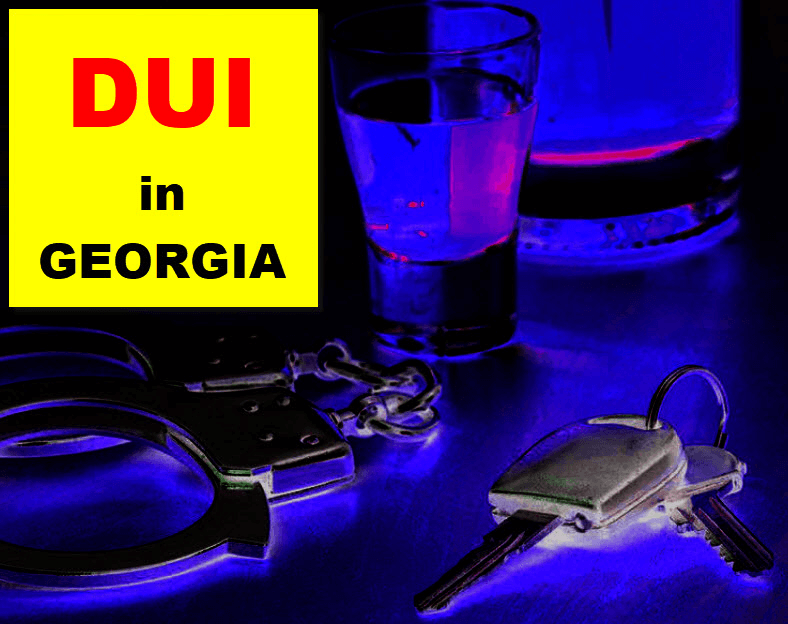 Georgia DUI laws allow conviction of driving under the influence multiple ways, including simply having an unlawful blood alcohol level at the time of driving event that led to the person’s death, which does not necessitate that negligent, errant or bad driving was involved. Georgia appellate courts have broadly embraced and upheld driving under the influence convictions even where the accused driver may not have been at fault, and have anchored the conviction on merely being over the legal limit. 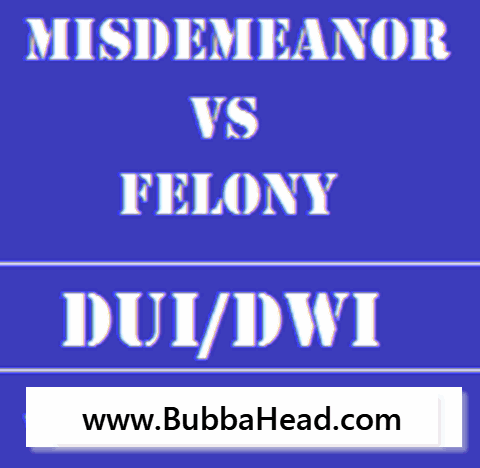 So, if an underage driver is convicted of a DUI by being over the legal limit for drivers under age 21, and the “number” was below the presumed impairment level under GA-DUI laws – OCGA 40-60-392(b) — he or she still can be convicted and sentenced under the felony homicide law in Georgia. See David v. State, 261 Ga. App. 468 (2003). [NOTE: This is a case that Atlanta DUI lawyer William C. Head appealed, after Mr. David’s first lawyer convinced him to plead guilty to a case that should have gone to trial but did not]. Where a single death occurred WITHOUT any direct impact between the vehicle of the deceased driver and the accused homicide by vehicle GA motorist, conviction for reckless driving and a hit and run can be sustained, and a jury verdict upheld an appeal. Eyewitness testimony and documentary proof of the identity of the person renting a car can support convictions of motor vehicle crimes, including reckless driving and leaving the scene of an accident, where the egregiously bad and dangerous driving of the accused driver were proven beyond a reasonable doubt. While the convicted driver did not directly impact the other vehicle, recklessly cutting in front of the other vehicle and causing that car to veer off the road and strike trees is enough proof. The driver’s action of going to the rental car company to switch to another vehicle with a different tag was part of the proof of his knowledge for having caused the accident. Bell v. State, 293 Ga. 683 (2013). A constitutional challenge based upon self-incrimination (that occurred by having to stay at the scene, unrepresented by a criminal lawyer) by being statutorily required to not leave the scene (OCGA 40-6-270) was rejected in the Bell case. In Bell, the appellate court pointed out that because no confession or conversation with police was required. The at-fault driver merely had to remain at the scene of the collision and provide identification (name and address). Bell had been sentenced to 15 years in prison on felony homicide by vehicle by reckless driving, plus another 5 years to serve consecutively, for leaving the scene of this accident. Of the 20 total years, the trial judge required the first twelve (12) years to be served in prison. Like with homicide by vehicle, a 2nd degree feticide can be pursued, if caused by any other driving offense except reckless driving and DUI will be accused as misdemeanors. This includes the other 3 underlying serious offenses of hit and run, attempting to elude, and passing a stopped school bus. The Georgia Legislature omitted these from inclusion in the felony punishment sections. Most people charged with either of these serious offenses are primarily concerned about prison time or jail time. Most families of accused citizens facing first degree vehicular in GA are appalled to learn the maximum penalty for vehicular homicide Georgia. The statutes pertaining to these serious motor vehicle offenses focus a minimum and maximum prison time for felony offenses but leaves the misdemeanor offenses on homicide by vehicle and vehicular feticide to the discretion of the judge, which is from 0 days to 12 months in the county jail. Of course, both sides can have input about the vehicular homicide sentence Georgia, and distraught family members can sometimes sway the Judge to impose tough vehicle homicide sentencing, especially in a DUI vehicular homicide. Very few states have homicide by vehicle felony laws with longer prison time that Georgia. Read this entire article to lean how our criminal defense attorneys in Atlanta have been able to take steps to help control harsh prison sentences. Additionally, obtaining a negotiated civil settlement (if possible) is particularly critical in DUI-related, feticide, (or serious bodily injury) or death cases, since federal bankruptcy laws prohibit any civil damages or judgment from being discharged in a bankruptcy case in ANY state. 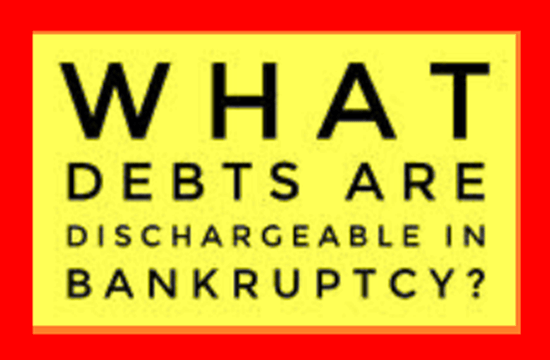 This means the amount owed can be collected indefinitely, against the responsible driver, who cannot discharge or eliminate this debt in a Chapter 7 bankruptcy. Under 11 U.S.C.A. 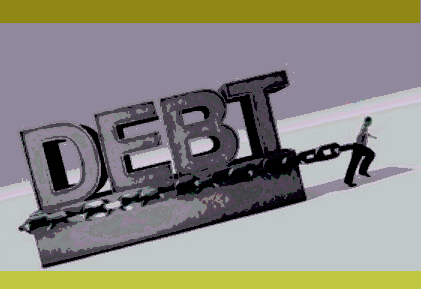 § 523 (a) (9), any debt “for death” or personal injury caused by the debtor’s operation was unlawful because the debtor was intoxicated from using alcohol, a drug, or another substance. Thus, any second-degree Georgia vehicular homicide would allow discharge of that civil action debt. So, settling any vehicular homicide civil cases or serious injury by vehicle civil cases before the DUI criminal case goes to court can be a life-changing issue. In a previous section that focused on assuring that civil injury and death issues are being simultaneously addressed, the issue of restitution being ordered as part of the judges’ resolution of the criminal case can be a financial burden paralleling the pain of being put behind bars. The following seven factors play a role in getting felony vehicular homicide cases under better control. How each may apply to YOUR case can only be discussed by knowing all aspects of your pending prosecution. County where the case took place, because some jurisdictions will not even grant a bond, because the judges are either so pro-prosecution or have established a policy for currying political favor. Circumstances of the case, such as the defensibility of the causation aspect of the motor vehicle homicide collision, and whether the accused “acted appropriately” (e.g., did not flee the scene, on foot). Contrition at the roadway, or attempts to resuscitate others, if the accused is not also grievously injured, can be important. Having the criminal attorneys who are representing the accused contact the family of the deceased person or persons. How (and to what extent) this is done in vehicular homicide cases varies greatly, but CAN be very important. Gathering information from an accident reconstruction expert which may show (through electronic data recorders) that diversionary efforts of the accused’s vehicle to avoid the collision. The availability of adequate insurance proceeds with which to pay costs, burial expense and for the value of the deceased person’s earnings, for protecting the family. Relationship between the prosecutor and the criminal defense attorney, in terms of respect for trial skill level, and years of experience. 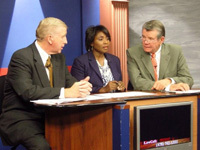 Georgia lawyer William C. “Bubba” Head is a criminal defense attorney Atlanta with 42 years of criminal litigation experience representing those charged with SERIOUS driving offenses, like vehicular homicide GA (felony or misdemeanor). He has been consulted by national and state television news services, for giving his expert commentary on vehicular homicide cases. During those four decades of being a criminal justice attorney, Mr. Head has handled over 125 felony vehicular homicide and felony serious injury criminal cases for clients facing decades of potential prison time for their respective criminal charges. Mr. Head and his law firm partners offer FREE legal advice, at an initial interview. Call our criminal attorneys NOW, day or night, 24 hours a day. 404-567-5515, or toll free at 1-888-384-4323 [1-888-DUI-HEAD]. The Atlanta attorney has traveled the State of Georgia defending felony cases, from Thomas County in south Georgia to Towns County in north Georgia, and dozens of other counties in between, for citizens charged with causing death or serious injury to others through accidents. The greatest number of deaths from one accident Mr. Head has handled is three, plus another case with a vehicular homicide plus a vehicular feticide involved, and one serious injury case in Atlanta with 7 seriously injured victims, from burns and other collision injuries, from our client (who was traveling down I-20 in the wrong direction). Mr. Head has authored or co-authored over a dozen books on drunk driving defense and other serious traffic offenses and is Board-Certified by the American Bar Association in DUI Defense (through the National College for DUI Defense). 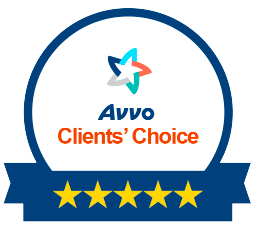 Best Lawyers in America, Martindale-Hubbell “av” preeminent, and Super Lawyers have recognized his expertise. Mr. Head’s DUI law firm has two other partners that also handle as many or more vehicular homicide felony and misdemeanor offenses as Mr. Head, and both partners have been with Mr. Head since law school. Both partners wrote chapters of in different national criminal trial practice legal books in 2016. Vehicle homicide attorney Larry Kohn and ex-cop-turned-attorney Cory Yager are currently fighting multiple high-profile serious injury and homicide by vehicle cases, and are willing to provide you with an in-depth, professional case assessment. When he was a police officer, Mr. Yager investigated many fatality cases. Each Partner brings his own skills and training to defending criminal cases, whether the motor vehicle homicide cases were misdemeanor or felony. We also have contacts in EVERY state, for cases occurring outside Georgia. 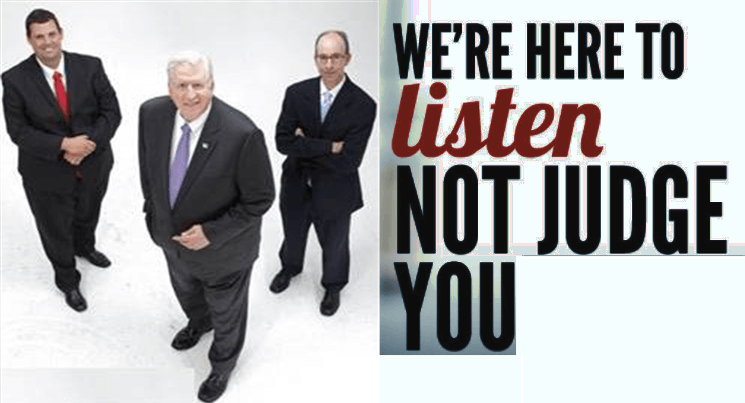 Call 42-year veteran Atlanta DUI attorney Bubba Head today and get honest answers to all your Atlanta homicide by vehicle questions. Tell our criminal attorneys everything that happened and everything you remember about your accident, hospital testing, booking and arrest. The sooner you call us, the better chance we have to win your DUI case and get your vehicular homicide charges reduced or dismissed. 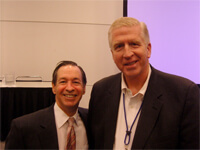 Best Lawyers in America – See our Two Recipients below.